A great way to protect the pickup cab area from heat, sun and snow. Custom patterned for a perfect fit, cab area covers fit between the cab and pickup bed. 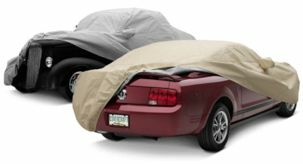 Since it’s not a full size cover, it’s easy to store, but still protects the interior from damaging UV rays.